The sunniest region in France! Corsica’s location off the south coast of France makes it the most Mediterranean of French regions and also the sunniest! In January, the attention of some starts to move away from the coast and towards the mountains, where snow makes skiing and snowboarding popular pursuits on the slopes of Val d’Ese, Ghisoni and Haut Asco. Our villas in Corsica have been selected with great care and attention to detail. Each one has its own unique characteristics, but all share one important feature: exceptional quality. 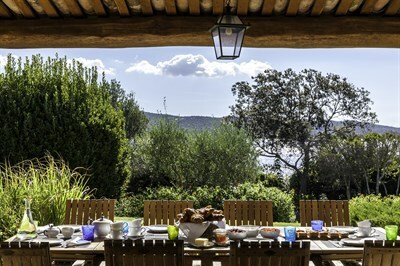 For an unforgettable villa holiday in Corsica, look no further. The weather in February continues to be quite damp and cool, though skiers are happy up in the mountains. Those who remain on the coast go about their daily lives looking forward to the arrival of spring. The temperature begins to rise, rain becomes rarer, and the first signs of spring are noticeable. The hills burst with colour as flowers begin to bloom, and a hike or cycle ride in the marvellous scenery of Les Calanques is a great experience. Bonifacio is a town to take the breath away and a stay in one of our villas nearby make you perfectly placed to explore its many wonders. Easter in Corsica is an experience in itself and the island’s colourful traditions are a wonder to behold. As the weather and the sea continues to warm up, some hardy holiday-makers brave the waters and on a warm day, you yourself might be tempted to take a dip. As the days and evenings get warmer life begins to move outdoors. A lovingly restored home combining charming accommodation, extensive gardens and garden gate beach access. May is a lovely month in Corsica. Temperature rise into the 20s, the sun shines warm but it is still cool enough to enjoy the sites without overheating. Spring is in full swing, and this is noticeable in the variety of ingredients that populate the market stalls. Cheese lovers head to the central mountain village of Venaco for the Fiera di U Casgiu (cheese festival). Mornings swimming in the sea, afternoons lazing in the pool... all without ever really having to leave the comfortable surroundings of your villa... 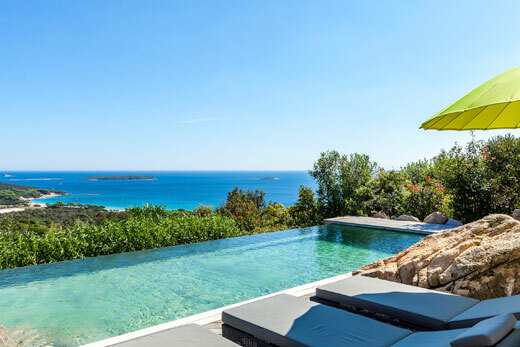 If this is what you're looking for, then you should book one of our range of villas in Corsica with pool and direct sea access. Summer begins! The sea warms up to an average of 22 degrees and rain is rare. Bougainvillea blooms across the island and the Mediterranean maquis scents the air. If Brocciu, Corsica’s most enjoyed cheese ceases to be produced in the heat of the summer, so try some now before it’s too late! June also means Jazz in Ajaccio, as the island’s capital gets into the swing with its popular music festival. 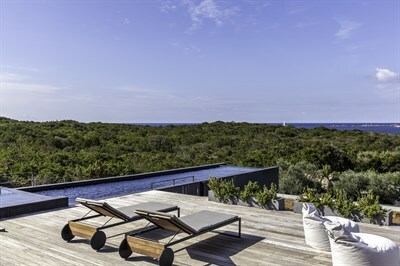 A super-panoramic view modern villa with irresistible infinity pool. Although visitors have been enjoying the beaches for a while, July is when the local really start to get sandy. It’s fairly hot in July, but there’s always the sea and the mountains to cool you down. Outdoor living is de rigueur now, and most bars and restaurants have moved their table outside. The sea is irresistible and a perfect temperature. 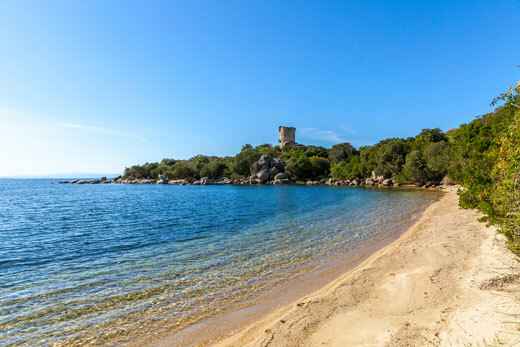 If beaches are an important requirement for you or the younger members of your group, then these villas are ideal for you, as they have garden gate access to some of the sandiest beaches in Corsica. As you might imagine, August is the warmest month of the year in Corsica and there’s no better place to be than on the islands fabulous beaches, catching up on that tan or enjoying the water sports available. A boat charter is a great way to discover idyllic little bays that are otherwise inaccessible. Some prefer to head to the hills, where things are cooler. A splendid sea-view villa with a truly inspiring pool. As the intensity of the high summer begins to fade, a relaxing atmosphere descends on Cosica. Schools start to go back, the beaches empty up somewhat and the number of tourists decreases significantly. The sea is still luxuriously warm and all is good with the world. This collection represents the most beautiful villas with private pools in Corsica. Most of the pools have been built recently, with you, our clients, in mind. 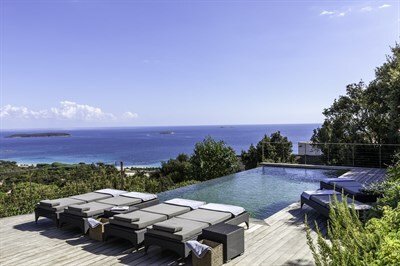 If your villa in Corsica must have a private pool, look no further! As October begins, the summer starts its transformation into autumn. The days get a little shorter, the evenings cool down a little and the colours of the island change to darker greens, red and orange-browns. The conditions are ideal once more for cycling and hiking in the mountains and sightseeing is also pleasurable in the cooler climes. Autumn has well and truly arrived, but daytime temperatures are still pleasant. Walkers continue to explore the Scandalo Nature Reserve and the Aiguilles de Bavella. 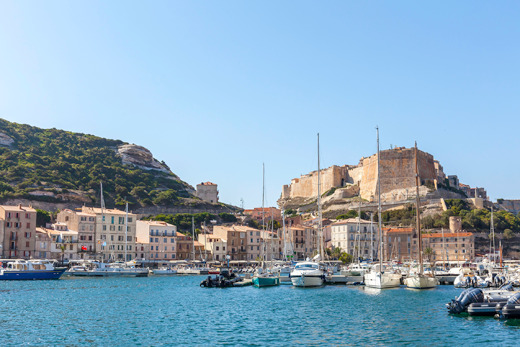 The less touristy towns of Ajaccio, Corte and Bastia are recommended at this time of year but you might find that some smaller coastal towns are now closed for the season. The hunting season – think wild boar and pigeon	- brings joy to the table. 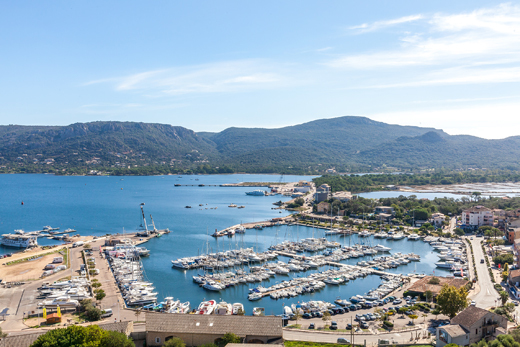 One of Corsica's most charming towns, Porto Vecchio offers a great deal for young and old alike. Our villas in the area make it possible to take full advantage of its many charms. The winter has officially begun but temperatures rarely go below 10-11C. The islanders start preparing for Christmas, a festival which is celebrated in family. Food is a big part of the festivities and tables groan with local goodies, including figatellu, a delicious smoked pork and liver salami, bricciu, a ricotta-like cheese, and lots of hearty stews. 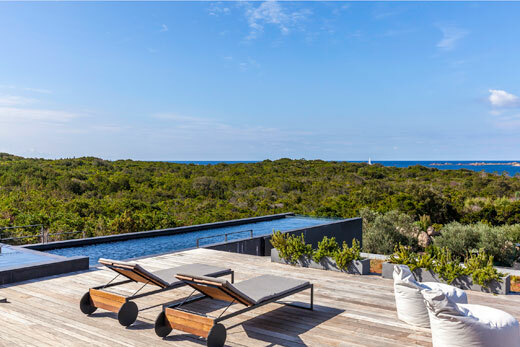 All of our villas in Corsica have been picked with the same care and attention to detail as our other collections in the Mediterranean, so you can be assured of an exceptional villa holiday.